Perfect for qualified technical divers who want to experience the sloping reefs of north-east Bali or explore the unspoilt deep reefs and pinnacles of South Lombok – or simply want to gain more experience beyond their technical diving courses: we offer guided open circuit diving at our tech centre in Amed and selected trips in South Lombok. Amed and Tulamben are well known for recreational diving, and there is a growing tech diving community in this area diving the deeper reefs. South Lombok remains largely unexplored outside if the South Gilis, but the deep reefs are simply stunning and home to plenty of pelagic species. To dive either location beyond recreational depths of 30m, you will be accompanied by one of our tech instructors or guides. They will also help with dive planning, equipment configuration and gas management in preparation of your dive. In Amed, we are able to offer guided technical dives all year round to 100 metres. Whilst we are stocked up with equipment and gases here, early booking helps to secure your spot. 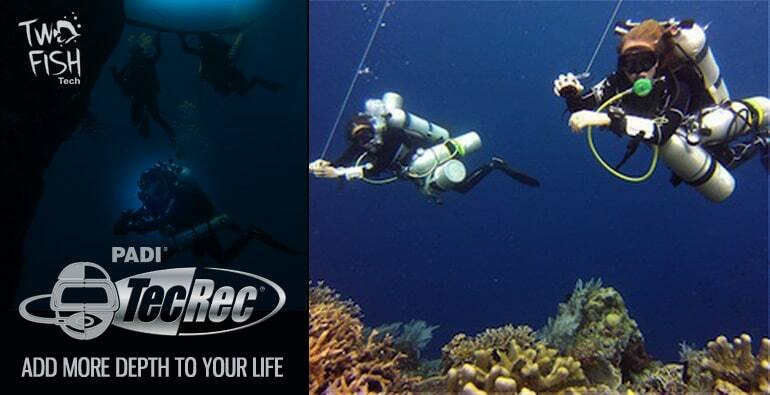 In South Lombok, tech diving is restricted to shoulder seasons (March / April and November) due to water conditions. You also need to have some tech diving experience beyond initial certification courses to join us here. Check out our tech diving safaris page for more info.